If you are planning to host a party or a big event, one thing you should know is that these kinds of events produce a lot of waste material. As such, it is important to make sure that you get a sustainable caterer that is eco-friendly and practices food systems and processes that are efficient and environmentally friendly. Your choice of caterer has a big impact on the environment, right from production and food processing until packaging. These processes affect the environment greatly. If you want to make a change, here are some of the ways to make sure you find a sustainable caterer. Find out where they source their products. Do they have their own farm? Are they partners with small organic farms? Make sure that their food is locally sourced as these are food raised within 150 miles from their consumers. They are more sustainable and they support local economies. They are also environmentally friendly because they lessen the use of fuel for transportation. See if they use produce in season. Produce that are in season are healthier, fresher and easier on the budget. See if the caterers modify their menu to what is locally available. Foods that need to be shipped and have traveled long distance may have lost their nutrients due to early harvest. Also, when producers ship their produce, they sometimes use preservatives to keep them fresher for a longer time. The small scale production of local produce is friendlier to the environment. Make sure that they practice zero waste. See if they reuse their discarded materials instead of throwing them away. Ask them if they practice composting and use trash bags and other catering materials that can be composted. You can also ask what they do with leftover food. 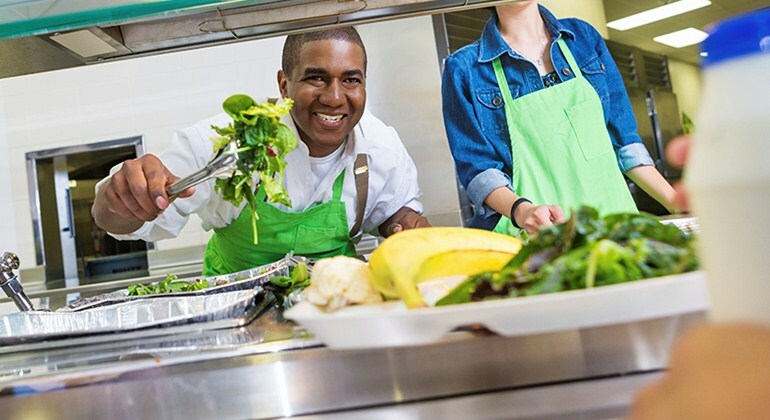 Most sustainable caterers donate leftover food to charitable organizations. Some caterers are partners with local organizations who pick up the leftovers and donate them. Make sure that the caterer uses reusable table wares. Imagine the amount of trash that will be produced when caterers use plastic utensils. Check if they use recycled materials for giveaways, decorations and signage. Make sure that their kitchen and workplace are energy-efficient. Do they use energy-efficient light bulbs? Do they use 100% biodegradable materials? Do they have low flow faucets that reduce the waste of water? All of these are important in making sure that they use the minimum amount of energy to cater for your event. It would also be good to know if the caterer instills these sustainable practices to their employees. By hiring a sustainable caterer, you help reduce overall wastes in landfills and toxic emissions to the environment.